In the game Near and Far there are artifact cards players can build and one of them is a singing skull! Whenever a player visits the Saloon, that player gains 1 reputation. It’s quite a handy card to have and combined with my character’s talent Piano Playing (gain 1 food when visiting the Saloon), it’s a hilarious idea. The end of the year is coming near and that means Board Game Geek’s Secret Santa! 😀 Members of website Board Game Geek who signed up, get assigned a victim for which they have to buy a (board game related) present! Our Santa has already been doing a great job, sending us fun messages and a series of questions. It kinda makes us feel bad that we haven’t really contacted our ‘victim’ yet. But no worries! This Santa has been very busy and will certainly step up their game – soon! Do you ever sing or quote songs during a game? PS. 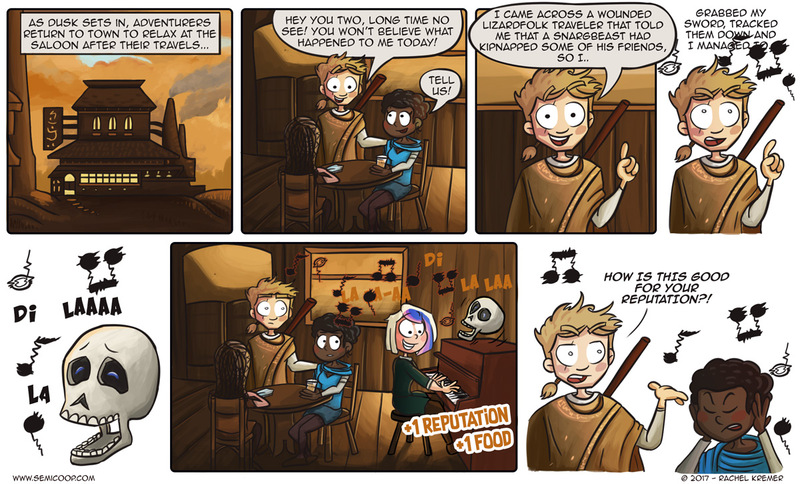 Heinze just noticed that our previous comic about Near and Far also contained singing… false singing. 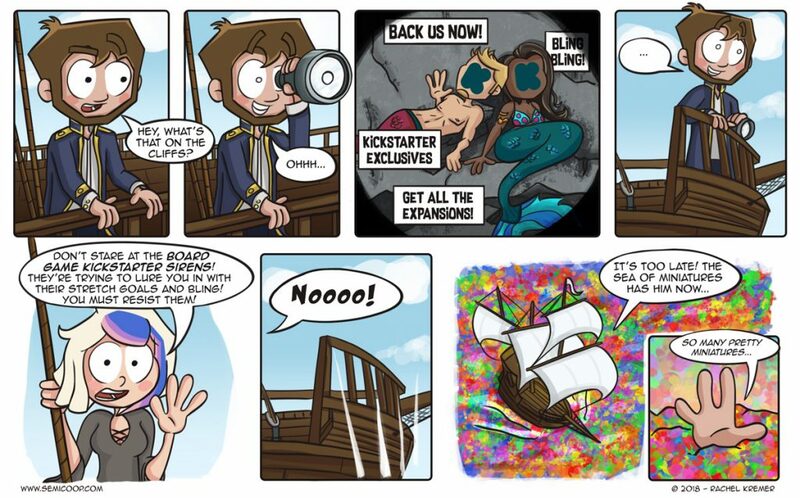 We’re not sure why this is a returning theme in our comics about this game. That skull looks as scary as a doorstop. A very evil looking doorstop. Treasure Map: (Sung) Foooour foooor Treasure Map! Great Hall: This is a Great Hall! And some others I can’t remember right now. But there were a bunch of them.